Anna Horners "Seams To Me" sewing manual...this thing is amazing. (Joana...thanks for letting me borrow it two years ago...I promise I will remember to return it soon). 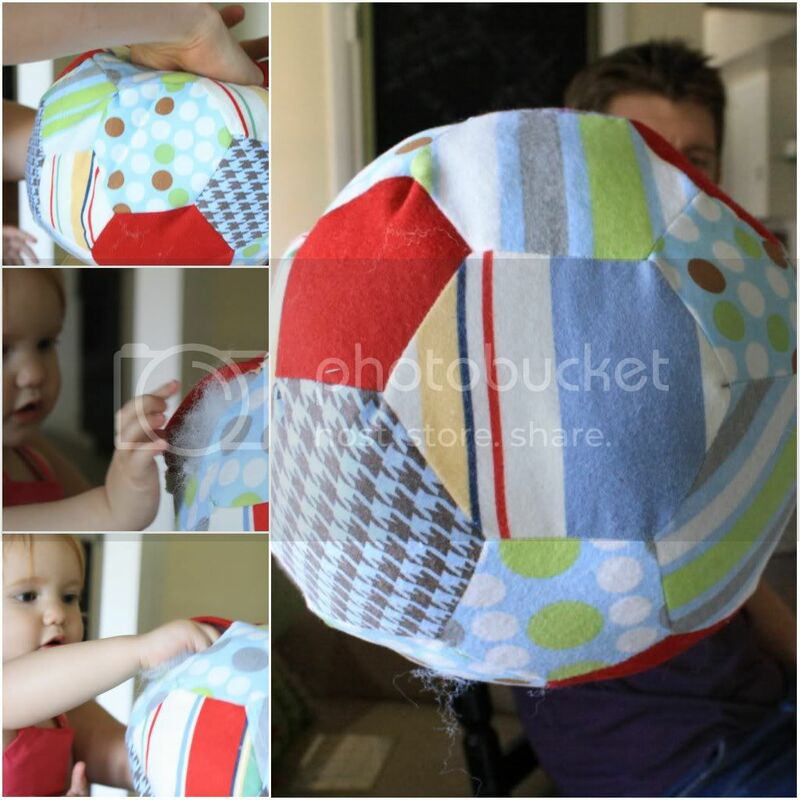 I made this fabric soccer ball for a friend with twins. I figured the two boys will eventually kick it around the house together but for now they can just pass it back and forth and cover it in drool. Scarlett and Chris had to get in on the ball making action too...this is a fun and super easy afternoon project that I definitely recommend. 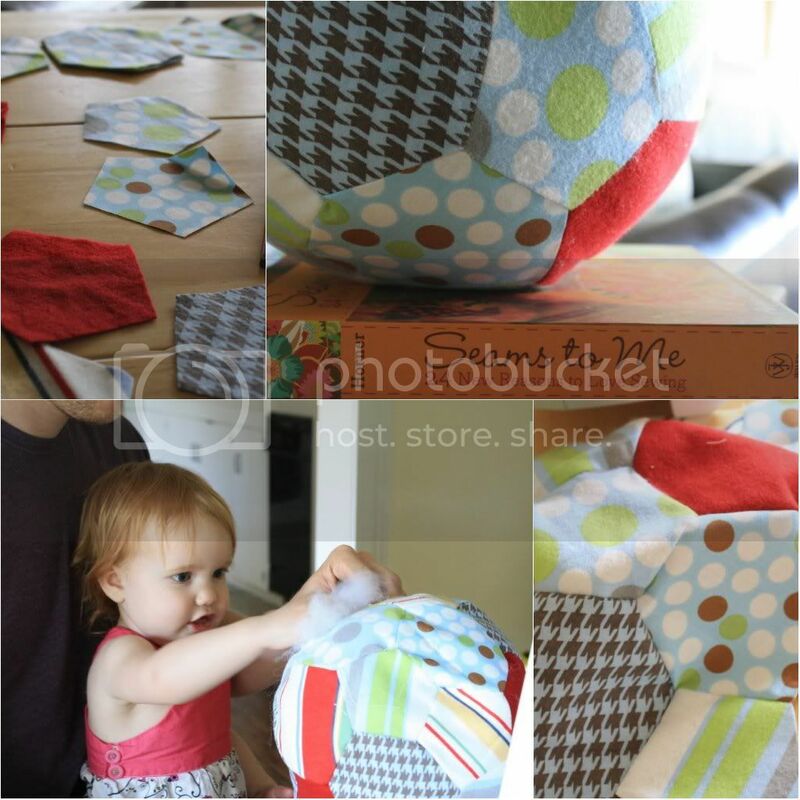 I think I am going to get some scraps together and make one for Scarlett. I will let you know how it turns out.